If you are faced with junk and clutter in your home, then you have your work cut out for you. Many of the items in your abode will be ones that you do not use or want. They are just taking up space you could use for other, more useful things, or simply utilized to make the room look tidier. 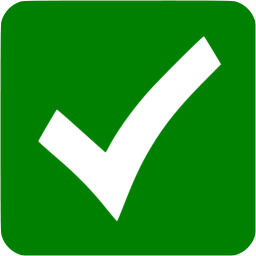 You may have to clean and sort through these items on a regular basis so they are just creating more work. If you are about to move, there is no pint taking time to pack and transport these goods. If you have inherited many goods or attempting a clean out, you will have lots to deal with. These goods can be tough to sort and get rid of, but we can help you with this SW18 rubbish clearance. 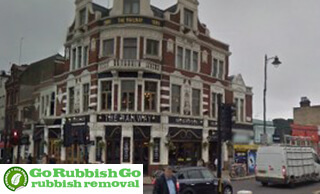 Go Rubbish Go can help you with all types of waste disposal in SW15, Putney. Call 020 8610 9182 today to find out more about our services and exclusive offers! There can be many types of clutter and junk in your home and we can handle all of it. Our team will come to your address around SW15 and remove all the junk you have. Our Putney rubbish clearance professionals can handle clothes, files, toys, electronics, appliances, furniture and more. Our team will shift your items safely from the building, load them onto our vehicles and take the junk away to be properly disposed. It’s not just a home clearance we can help with in the SW18 region, but also furniture collection, flat clearance, garage clearance, builders waste clearance and much more. Not only that, but we also offer skip hire. Our Putney waste collection services are extensive and flexible. We aim to provide support with every part of the chore, to give you all the help you need. Our team will work when you like, bring all the equipment necessary and work quickly. Our rubbish disposal SW15 team will help you go through your things, they will break apart large goods and bag them, carry large and heavy goods safely through your home and get the items on awaiting vehicles. We then take the goods to local waste disposal sites around SW15. We work with firms around SW18 to ensure that all items are destroyed, recycled or whatever safely and legally. We adhere to all laws and environmental guidelines when doing this job. Couldn’t be happier with the rubbish disposal in Putney, SW15 they carried out for me! They did the job fast and were very friendly, but the best bit was the low price they charged. Would certainly hire again! Get A Free Quote Today On the Best SW15 Waste Clearance! 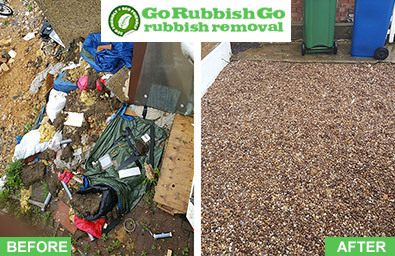 Our free quotes ensure you get the best price for your waste removal in SW19. You will be charged for the services you use, so there are no unnecessary fees. Call 020 8610 9182 today and get a free quote. 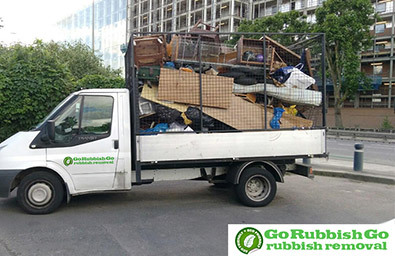 Go Rubbish Go guarantee the best waste removal Putney, SW15 so call now for more info. The Most Expert Junk Disposal In Putney Are Only A Phone Call Away! 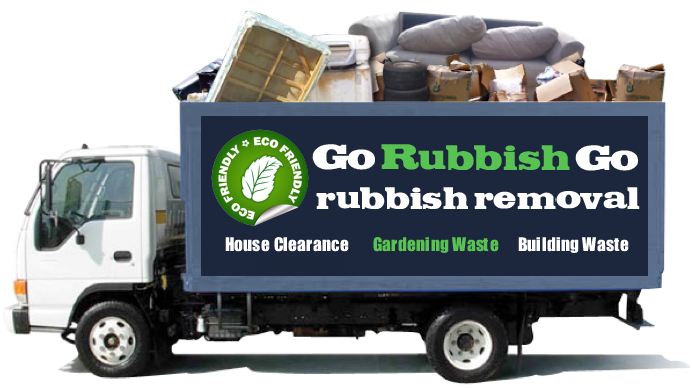 We are a SW15 waste collection company with many years of experience dealing with waste and rubbish. Our team has been moving and getting rid of furniture and other household waste for years and there is no job too tough or strenuous for us to handle. We’re here in London for you whenever you need us, so simply call us on 020 8610 9182. Get any questions you may have answered and make an appointment to fit around your daily schedule. We’ll come around to quickly and efficiently sort out your rubbish clearance Putney problems. Book now to take advantage of our discounted prices! Putney is part of the Borough of Wandsworth in the south-west of London. It uses the SW15 postcode. Local places include Hammersmith, Fulham, Barnes, East Sheen, Roehampton, Putney Vale, Wimbeldon Common, Southfields, Wandsworth and Earlsfield. These can be found in the W6, SW6, SW13 and SW14 areas. At the time of the Domesday Book, a ferry service existed here. The residents of the area would become committed to preserving local open spaces, and Putney was often visited by Elizabeth I and Charles II. Today, Putney is home to many professionals, including lawyers and doctors. Rowing is a popular past time here, with several clubs dedicated to the sport and the annual University Boat race begins in the town. There have been many famous people from the area, some of which include Jim Henson, Gerry Anderson, Richard Branson, Marc Bolan, Fernando Torres and William Pitt the Younger.